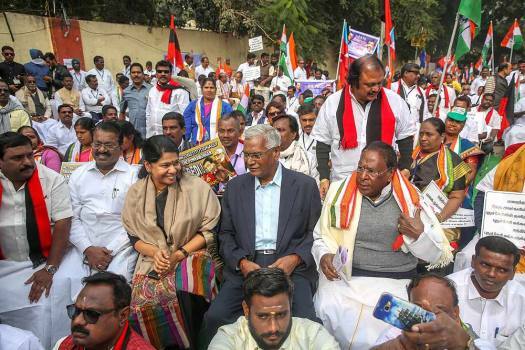 Dravida Munnetra Kazhagam (DMK) candidate A Raja files his nomination from Nilgiris constituency for the upcoming Lok Sabha elections, in Nilgiris. 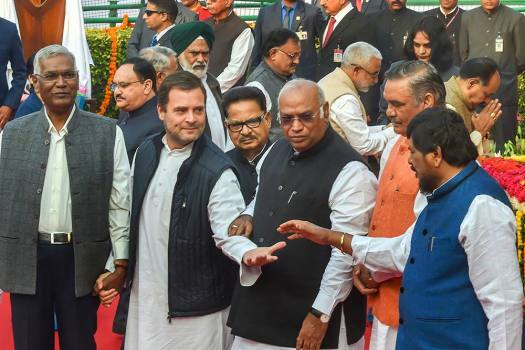 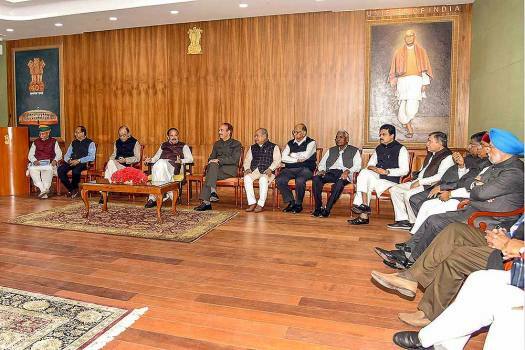 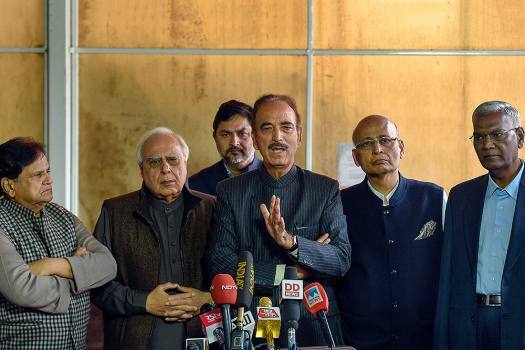 Opposition leaders at a unity rally in Delhi. 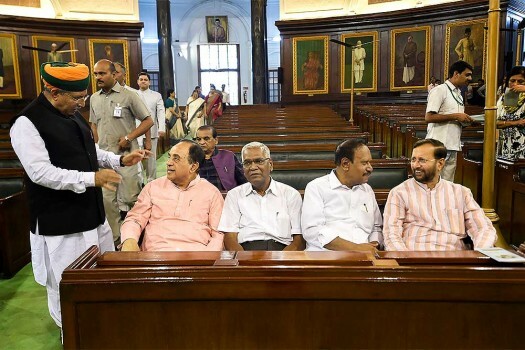 Vice President M Venkaiah Naidu interacts with the floor leaders of various political parties at Rajya Sabha, in New Delhi. 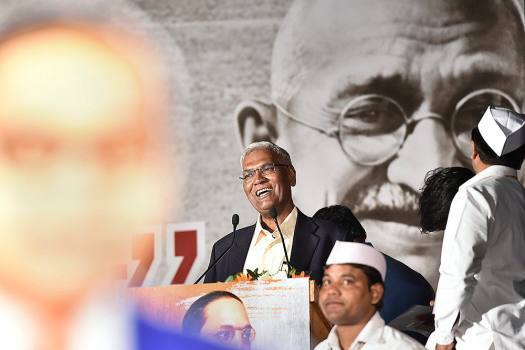 Communist Party of India National Secretary D Raja addresses the 'Samvidhan Samman Samaroh' at Jawahar Lal Nehru Stadium, in New Delhi. 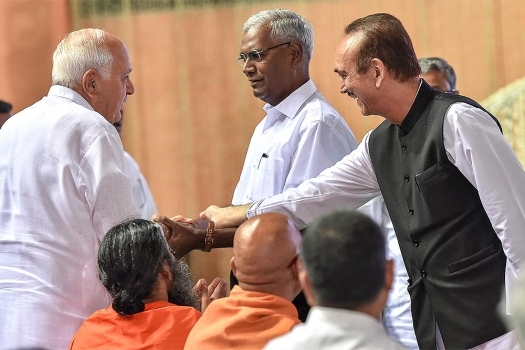 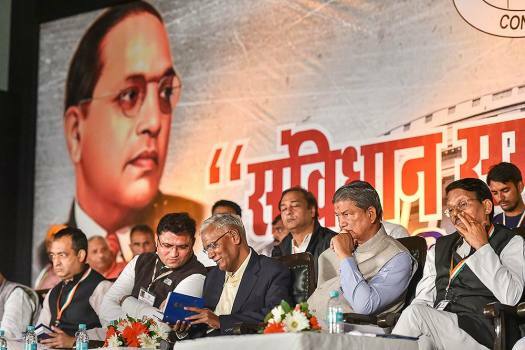 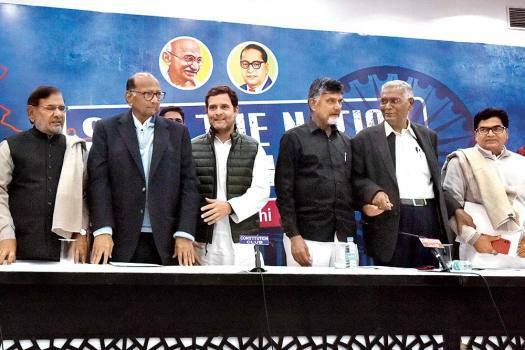 Congress party leader Harish Rawat, Communist Party National Secretary D Raja and other leaders at 'Samvidhan Samman Samaroh' at Jawahar Lal Nehru Stadium, in New Delhi. 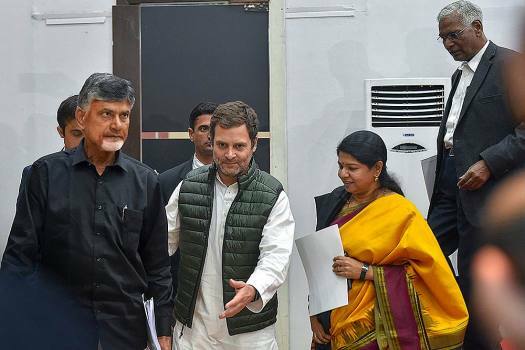 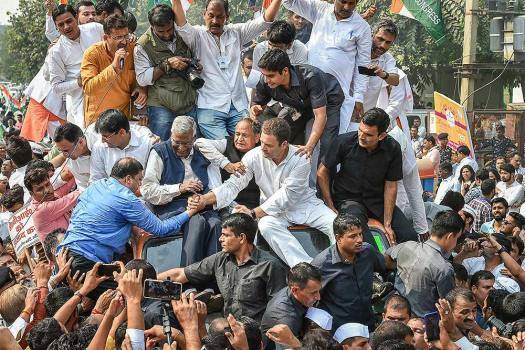 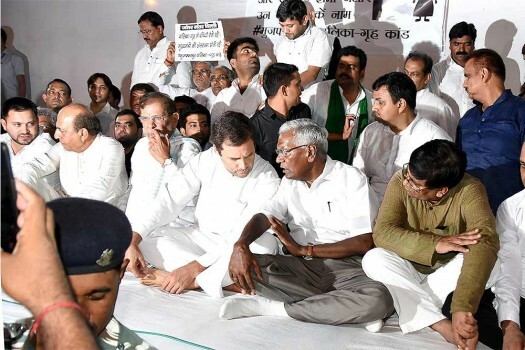 Congress President Rahul Gandhi and senior party leaders stage a protest demanding the reinstatement of CBI Director Alok Verma outside the CBI headquarters, in New Delhi. 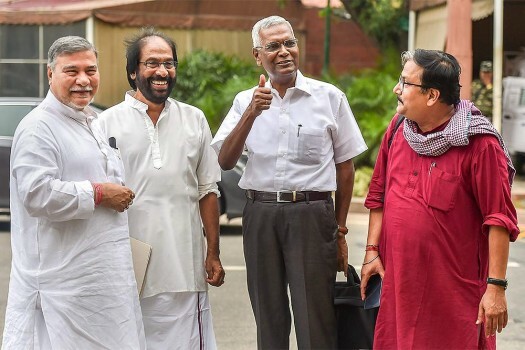 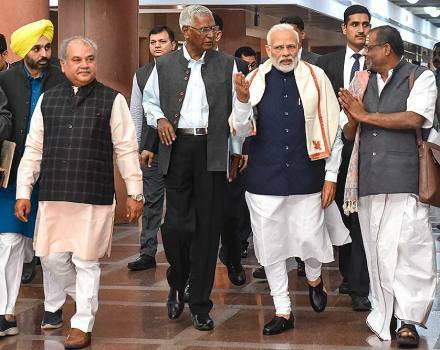 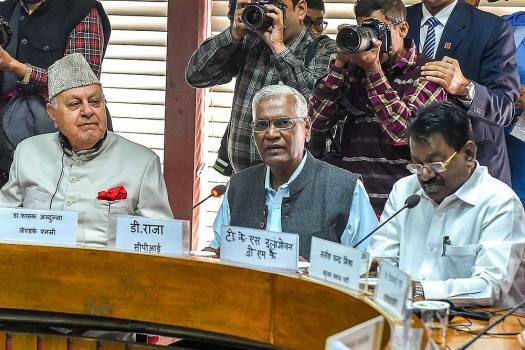 Rajya Sabha MPs Bhubaneswar Kalita, Tiruchi Siva, D. Raja and Manoj Kumar Jha during the Monsoon session of Parliament, in New Delhi. 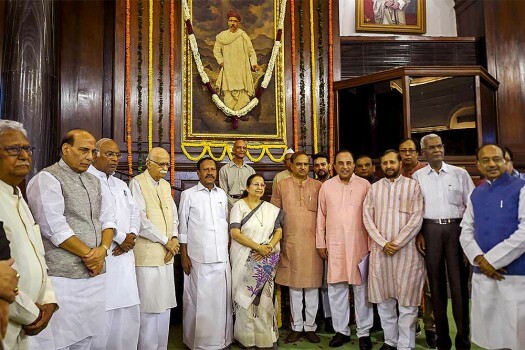 Lok Sabha Speaker Sumitra Mahajan and other leaders after paying tribute to Bal Gangadhar Tilak on his birth anniversary, at Central Hall of Parliament in New Delhi. 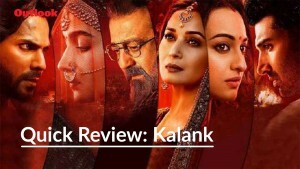 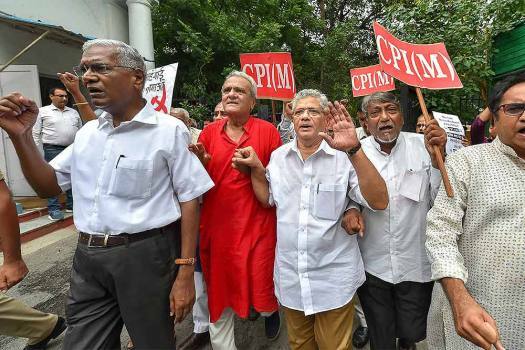 While Banerjee said the move was unconstitutional and West Bengal won’t abide by the notification, the CPI(M) dubbed it as a "promotion of Hindutva ideology'". 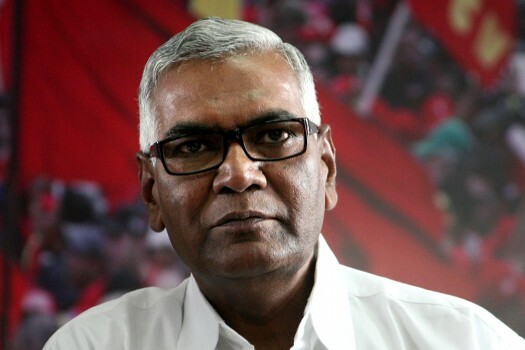 The PM accepts "full responsibility" for the "error of judgement" and says he is accountable for the appointment of Mr PJ Thomas as the CVC but leaves many questions unanswered.